Last year Little diva and I had great memories of the Pre owned boat show at the Creek Marina. This year it’s equally exciting and one of the boat builders to look out for is Al Marakeb. The UAE boat builder makes a splash at the Dubai Pre-Owned Boat Show that is on until 10pm tonight and will be showcasing three of its value-for-money craft at the event, which is being held at Dubai Creek Marina. This year marks the third consecutive year that Al Marakeb has participated in the event, having identified the market it serves as being one that attracts the serious sailing aficionado. Founder and Managing Director of the company, Basel Shuhaiber, says that his company’s line up of open water craft appeals particularly to those who are genuinely considering purchasing a leisure vessel. For the past two years at the Pre-Owned Boat Show, Al Marakeb has exhibited its Dino 31 model, an entry-level craft that will also be making an appearance this year. Alongside it will be two of the company’s new models, the Habbar 25 – a fishing boat that was launched earlier in the year – and the Scylla 35, the company’s first cabin vessel, which made its maiden voyage on the market two weeks ago. Established in 2007, Al Marakeb growth has been exponential year on year. The company’s other two models in its five-boat line up are the Spartan 25 and Triton 35, with all of its vessels being customisable with flexible personalisation options. 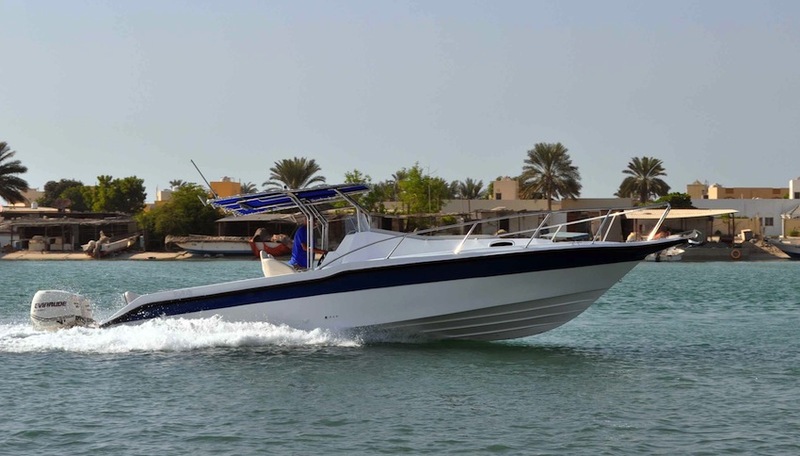 Al Marakeb supplies boats to private and commercial buyers in the regional and international markets. Currently, the company’s network extends into the Sultanate of Oman, GCC, North Africa and Asia. Last year’s Dubai Pre-Owned Boat Show attracted the participation of 7,200 people. Twenty-nine yachts were sold at the event for a total value of $2.6 million, making it one of the top boating events in the region.